Cardiff, with a population of over 300,000 is the capital of Wales. 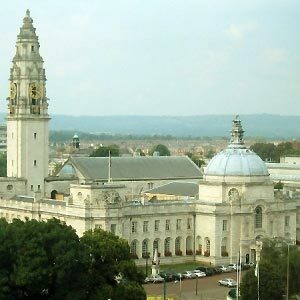 Cardiff was awarded city status in 1905 and made the capital of Wales in 1955. After gaining autonomy at the county level in 1996, Cardiff has been governed by Cardiff County Council. Following the 2004 local elections, the Cardiff County council does not come under the control of any individual political party. The Liberal Democrats have 33 councillors, Labours have 27 and the Conservatives have 12 and Plaid Cymru have 3. The Cardiff County Council comprises 75 councilors or members, who are directly elected by voters through an election conducted by the Local Government Boundary Commission for Wales. The elections are conducted once in four years in the first week of May. The councillors are entitled to an annual basic allowance of ?10,196 and various other special allowances. The Chairman and the Vice-Chairman of the Cardiff County council are elected annually by the council members. The Chairman and in his absence the Vice-Chairman preside over the house and are in charge of carrying out the business of the house efficiently. The Cardiff County council carries out a number of strategic functions. Providing educational schemes like the Welsh Education Scheme and Adult Education plan, which benefit the citizens. Approving or adopting the policy framework, the budget and any application to the National Assembly for Wales with respect to any housing land transfer. Taking care of infrastructure needs such as highway lighting and roads. The council is also in charge of public transport in the city. A focussed, comprehensive and integrated range of services designed to assist the performance of business in the Welsh capital. Business development including advice on grants, training, technology and accommodation. Building a private accident and emergency department, as part of a ?5m 100-bed 'patient hotel' development in the north of the city. Creating an international sports village two miles to the west of the city. Introducing electric cars in the city's transport system and making Cardiff greener and less polluted.